It might seem obvious, but the taste of wine occurs in the Human brain. Indeed, there is a good deal of scientific research that’s gradually revealing how this works. A terrific book called Neuroenology, by Gordon M. Shepherd, explains this in detail. So why also include the Silly Tasting Notes in this article? Well, once the taste of wine is in our minds, then comes the challenge of communicating this to others meaningfully. Hence Silly Tasting Notes attempts to illustrate this with humour. Wine tasting is an incredibly complex process that combines all our senses; whether vision, touch, taste, smell or even sound. To understand how the brain comes up with how a wine tastes combine neuroscience, biomechanics, and human physiology. Experience, training, memory and particularly emotional responses play a part too. 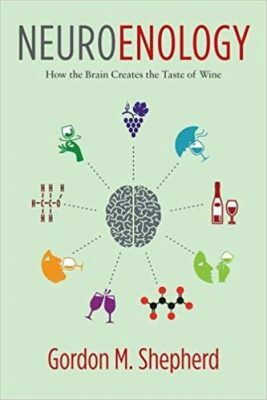 In the book, Shepherd says that wine tasting engages more of the brain than virtually any other human behaviour. I suspect there might be one at least one other candidate, but I digress. Yes, wine tasting does mean our senses are working overtime. As we are all individuals, the taste of wine is consequently an individual perception. It varies from person to person, even though most of us are born with similar anatomy and potential. Therefore, taste cannot help but be subjective, though we can all discriminate and enjoy or dislike different things. As they say these days, your mileage may differ. What’s right or wrong is never absolute. Some people love Marmite; others hate it. C’est la vie. However, trying to convey our own, unavoidably personal perceptions to others is a challenge. We find it easier to describe visual stimuli (such as colour) than any other sense. However, accuracy and understanding rely on the simple or familiar. Do you know the game where someone verbally portrays a teapot while another draws what they hear? If so, you’ll know what I mean. Try to describe a friend’s face to someone that hasn’t met them. No wonder we laugh at clumsy identikit pictures. Using language to describe Taste, being a combination of smell, taste and touch, is even more daunting. We’ve seen that taste is from inputs; sensing the properties of the wine, then transmitting this to the brain. Here, different areas interact to create our taste picture as thoughts and feelings. Communicating those as an output in a meaningful linguistic way is highly personal and limited by language. We can add all kinds of rules and training in an attempt to increase objectivity and meaning. And of course, some people are more agile communicators than others. However, all too frequently the attempted result contains little sense. Other attempts end up being pretentious, repetitious or unmemorable, which rather defeats the point. We don’t have the language to convey as accurately as we would want. That’s one reason the world loves points systems; they seem so objective by comparison. But of course, as the creation of the brain, they aren’t. Communicating our thoughts and feelings about wine is imperfect, yet it’s the best we can do. On that note, it’s time for some Silly Tasting Notes. Given the difficulties, it’s no wonder that wine communication is often ripe for parody. Welcome then to Silly Tasting Notes. It’s a fun antidote to the world of the bland, the boring, the unfathomable or worse, po-faced elitism. 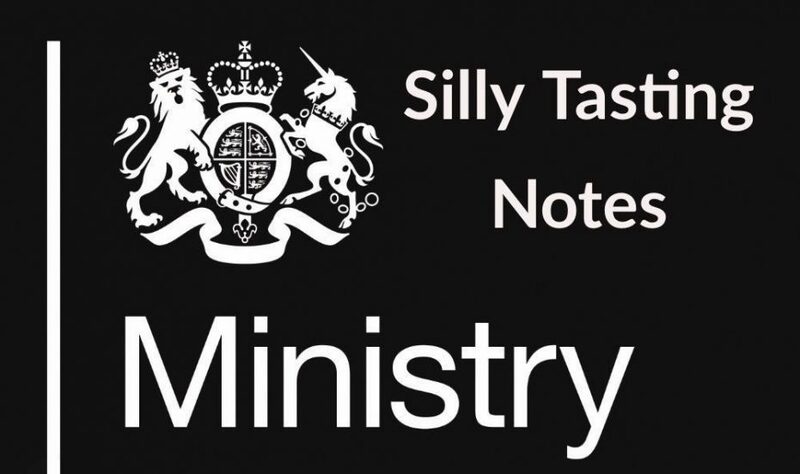 Hence I’m a fan of Silly Tasting Notes generator v1.2, created by Greg Sumner. It’s been around on the internet for a few years. Add a few wine variables into the programme and press a button. Hey Presto!, a tasting note appears, deliberately daft. Here’s a dozen I made earlier. Fancy hedonistic sparkler. Aromas of mint, wicked lime and bashful boiled veggies. Dark and mysterious oaked Rhône. Hints of peach-pit, over-oaked raisins with weak roast pork. Opens with liquorice, over-ripe garlic and light apple. Only drink on the second Tuesday of the month. A tightly wound but supple Bordeaux. Displays clay, acidic French oak and strong-willed blueberry. Drink this Friday. Remarkable middle-aged Chardonnay. It resembles carrot, sad salt and hopeful bananas. Drink with cornflakes. Unimpressive and meandering Pinot Noir that throws kalamata olive, elegant ginger and scantily clad roasted meat. Ripe in flavour, almost sassy dessert wine. Roasted vegetables, arcane melon and lingering ginger. Almost astounding Merlot. Contains chutney, extra-ripe fig and insufficient plum. Drink. A wine that resembles clam chowder, with whimsical dishwater and forward toothpaste. It’s now drinking throughout eternity. Classic and supple Chardonnay. A reminiscence of desperate figs with traces of juniper at the molecular level. Nicely fleshy Cabernet Franc. Opens with lingering raspberries and a sturdy cigar box — special on Groundhog Day. Liberal, it’s bordering on the reckless at the quantum level. This stunner is ripe for self-medicating any time of day. Well, those Silly Tasting Notes make me smile, and I hope you do too. Meanwhile, I suspect I’ve been guilty of writing similar twaddle on occasion. In conclusion, the next time you hear or read a wine description or a tasting note, consider Neuroenology. It’s part of what makes us Human, and that’s food for thought. I agree 100% – but you probably knew that already. However, the way you combined neuroenology with the silly tasting note generator in your post makes me wonder about the possibility of an AI program that takes as input wine mass spectrometry data, together with some other measurements that can be automated, and generates a plausible tasting note. Given the huge variability in human notes for the same wine, I feel it would not be too difficult, and the AI note would at least have the benefit of being replicable – unless of course something was explicitly added to the algorithm to simulate the variability in human notes. Thanks, Steve for commenting. I thought you might agree, given our recent conversations about the human mind and wine tasting. In fact, that was a nudge to write something down, which I have been meaning to for some time. As for AI, I can certainly imagine that being developed and also being popular, while perhaps making wine writers like us extinct! I bet someone somewhere is already on with it! As an aside, Gordon M Shepherd has a “companion” volume about food, called Neurogastronomy.